The stock market is like the ocean of money. If you took out few buckets from the ocean of money, nothing will be going to impact huge. But you need to take care about How will you take out the bucket of money from the ocean- the stock market? Because your one big mistake is enough to wipe you out from the market in a single day. Because in the stock market every day “n” number of people starts new investments. And also “n” number of traders got wiped out from the market. As from the ratio, 95% of traders are making losses. Just 5% of successful traders/investors like Mr. Warren Buffett, Mr. Rakesh Jhunjhunwala are making money from the market. But here we first need to understand why is this happening? Why are 95% of traders/investors making losses? The reason behind their losses is their emotions. They got greedy and fearful in small profits and huge losses. Majority traders are not able to manage their emotions. Sometimes take huge quantity if they are happy or sometimes take very less quantity when they are sad. But who knows, which trade has the potential to give the profit of whole year. But due to their mood swing, their emotions, they are not able to grab the good opportunities. Let’s take a real example that how the market plays with trader’s emotions! How traders emotions drive their decisions! 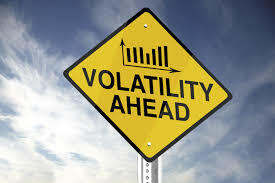 So during this volatility, many traders stop loss got cut down also many traders are got wiped out from the market. Traders have booked their positions whether it is in profit or not. So this clearly shows how traders emotions are playing with their decision. 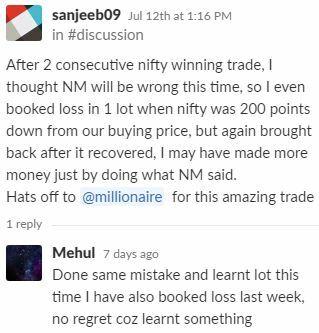 But there is another way to control your highly volatile emotions in the market as nifty millionaire members have done. They also had an open position but they never booked their position in any panic situation… They are able to control their emotions because of the new model Developed by Professional traders. The model is about Hedging strategy. They always open their position in nifty along with options too. So at whatever side market will go, they will have only the risk of 7k to 8k. So this model has the potential to grab maximum profits from the market. With this new strategy, they have minimized their risk in the market and increase their probability of profits. This strategy has the potential to solve the biggest problem of 95% traders who are majorly doing huge losses. So this strategy can help them to recover their losses in the market. Do you also want to solve your biggest problem – making huge losses, lack of emotional control? Click here.